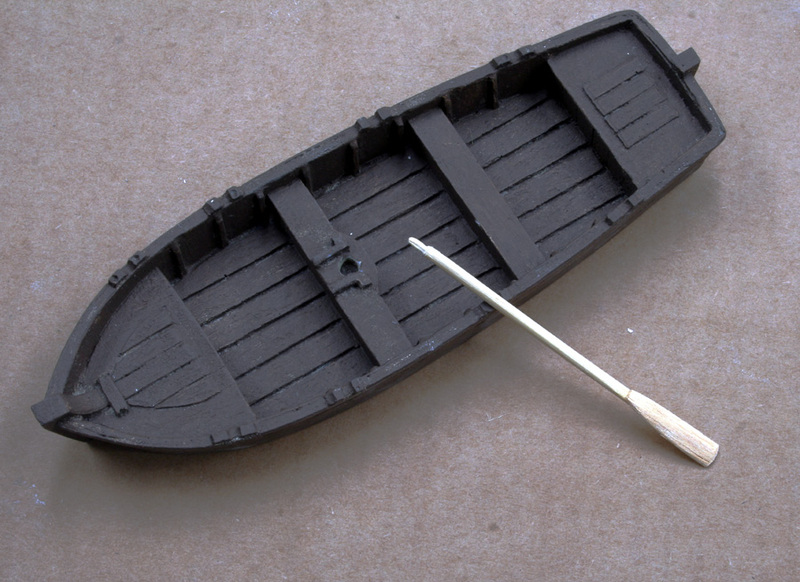 We see how in just few steps an oar with a stick for skewers and a piece of wooden batten. 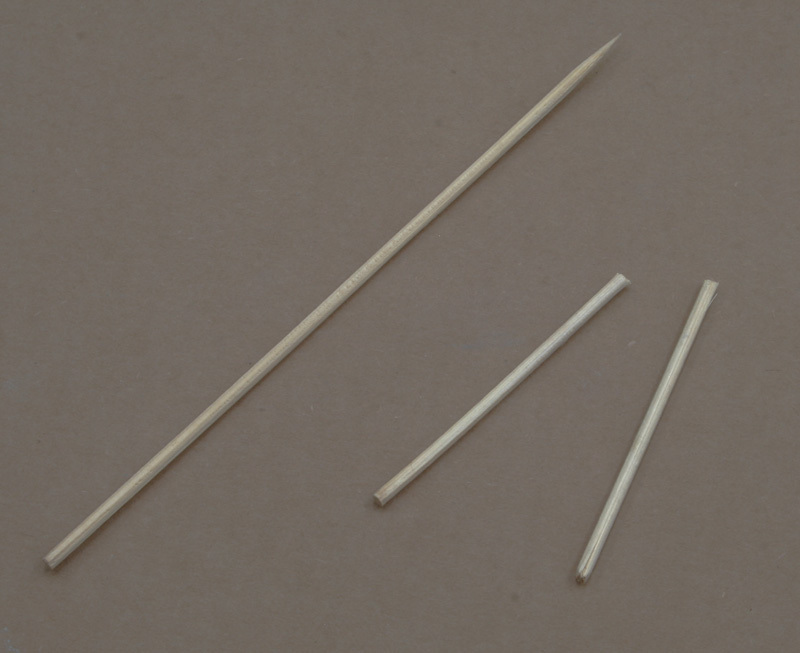 Step 1: divide into 2 the stick for skewers. 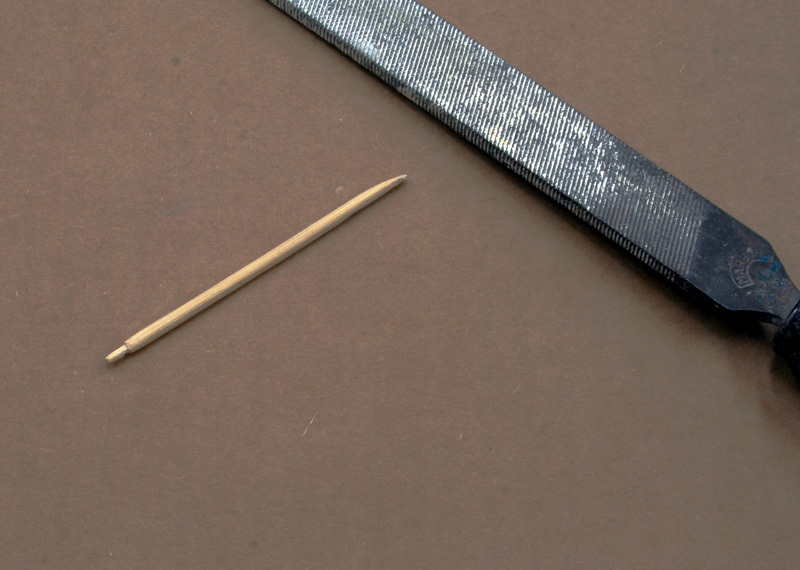 Step 2: with a file create the handle of the oar and, tapered the opposite end of the stick. 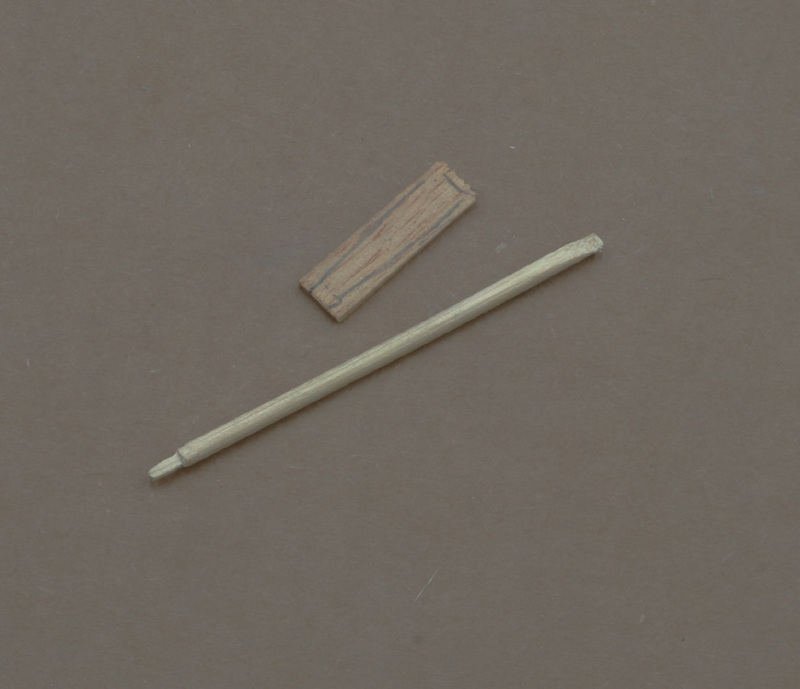 Step 3: Cut a wooden batten to 6x2mm. 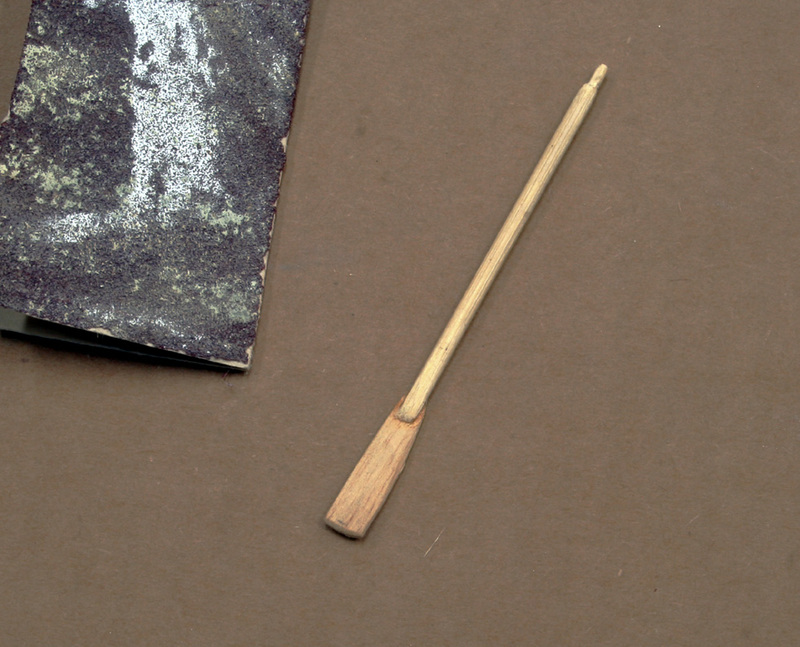 approximately one third of the stick and, drawn over the paddle of the oar. 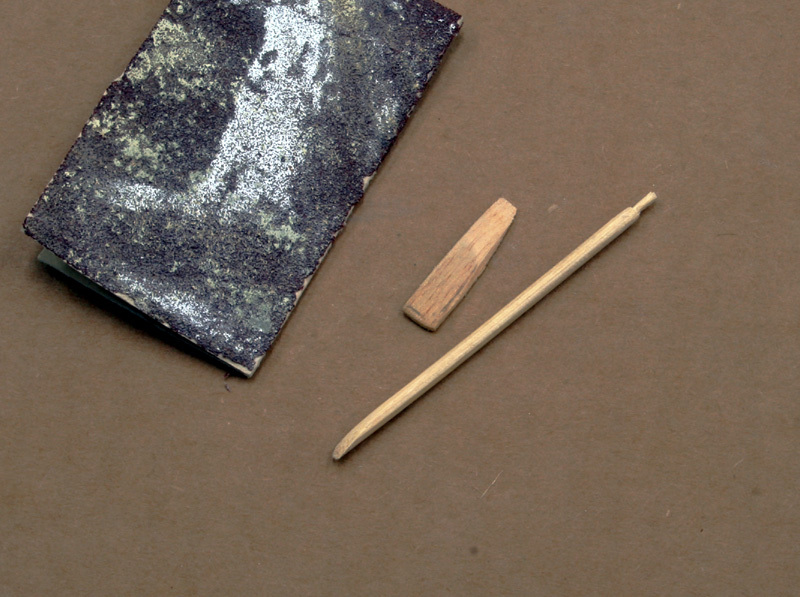 Step 4: helping with a piece of sandpaper, create the form of the paddle. 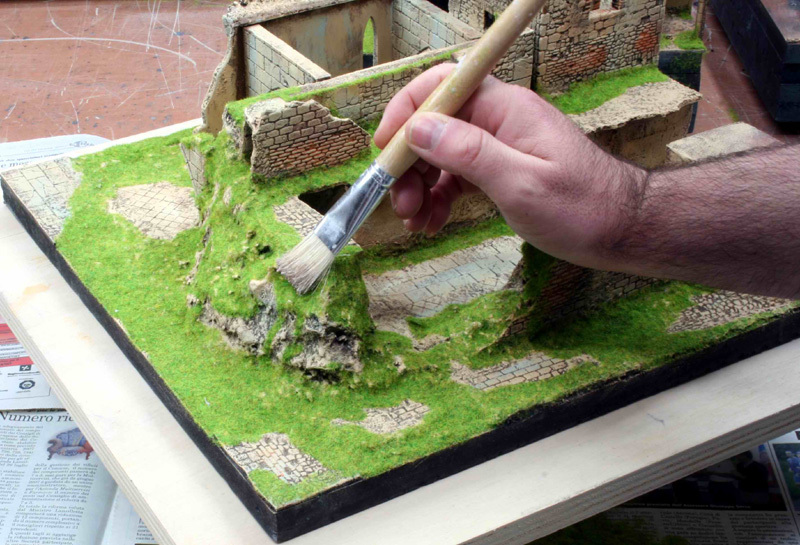 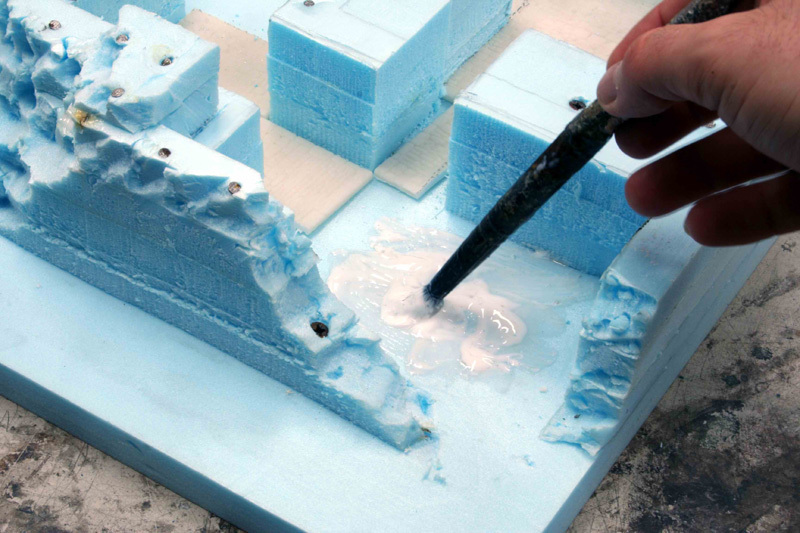 Step 5: now with cyanoacrylate glue, we to attach the paddle to the stick. 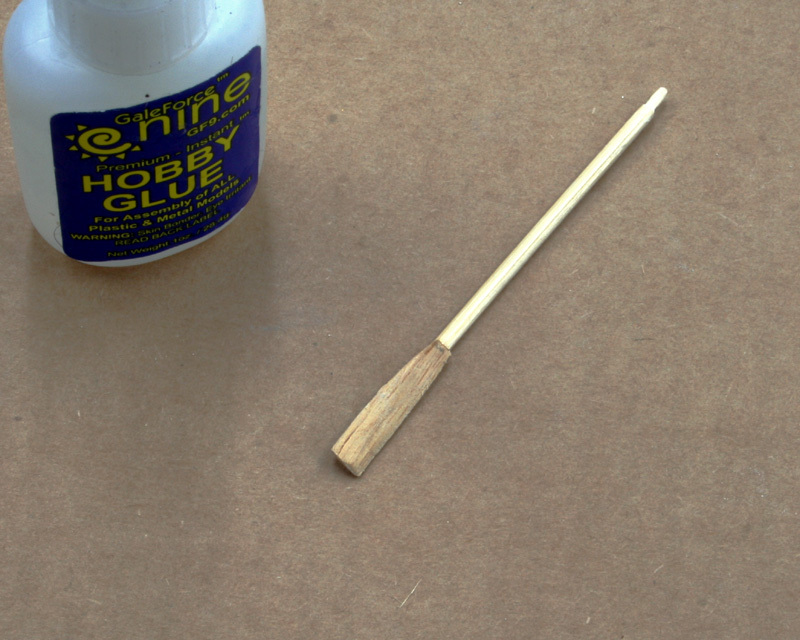 Step 6: we finish everything with sandpaper to smoothing all the oar. 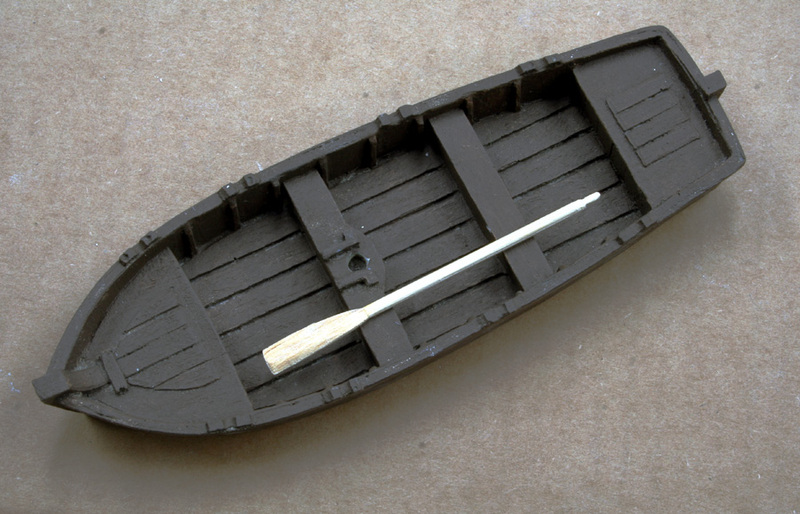 We place the oar on the boat.